Cortona offers several cultural events throughout the year, the most important and significant occour from spring to fall. Some of these events are become popular because celebrated from long time reflecting our tradictions, customs and beliefs. 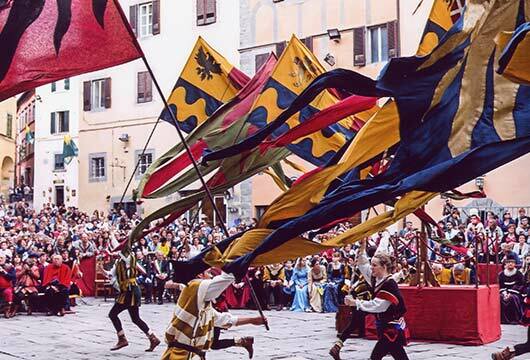 Among these the steak festival “SAGRA DELLA BISTECCA” with the largest wire rack active in Italy, the “Joust of Archidado” (historical re-enactment of the medieval games and parade), the Cortona Antiques “MOSTRA ANTIQUARIA”. Below a selection of the most relevant. 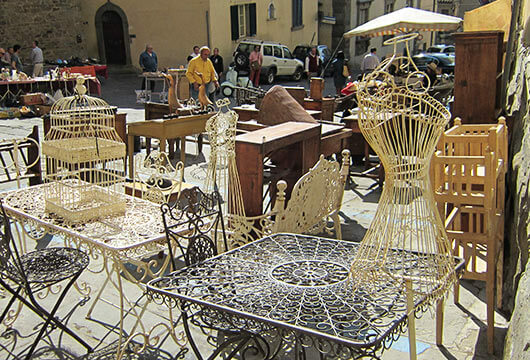 The fourth Sunday of the month inside the city walls, in Piazza Signorelli takes place the antique market of Cortona, The markets are scheduled from 9.00 at 20.00 in Piazza Signorelli. Among the various stalls used items, collectibles and modern. The market hosts about 50 exhibitors. From 09.00 pm starts the Saint procession followed by his faithful and its ancient Saints. 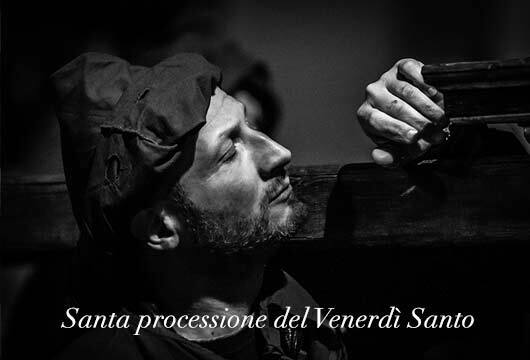 The procession will travel across all the main streets and squares of the town ending around 12.00 pm at the Cathedral (The Duomo) (Please bring candles with you). The Good Friday is the Friday before the Christian Easter. On this day Christians commemorate the passion and crucifixion of Jesus Christ. This anniversary is observed with special practices and rituals by the faithful of many Christian denominations. The next day (on Saturday) at the Duomo (the Cathedral) of Cortona at 11:00 pm the Easter Vigil begins the night of the Resurrection with the blessing of fire, the candle, at 11.00 pm will start the traditional “Flight of the Christ” in Piazza del Duomo. The Holy Mass and the ritual as tradition will be accompanied by the Choir Zefferini ending around 01.00 am. The Archidado Joust traces its origins back to the Middle Ages and was officially created in 1397 to celebrate the wedding of Francesco Casali, the Lord of Cortona, and Antonia Salimbeni, a noble woman from Siena. 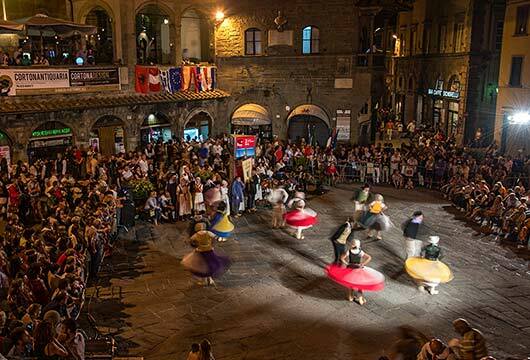 In the city of Cortona, this historical event is recalled every year on the second Sunday of June, when people are lead back to the ancient medieval splendor of the city. The streets are decorated in medieval style, ladies, knights, flag flyers, crossbow shooters, soldiers, pages, civil and religious authorities, all dressed with fine costumes, liven up the city center, which is rich in history and artistic beauties of every time. 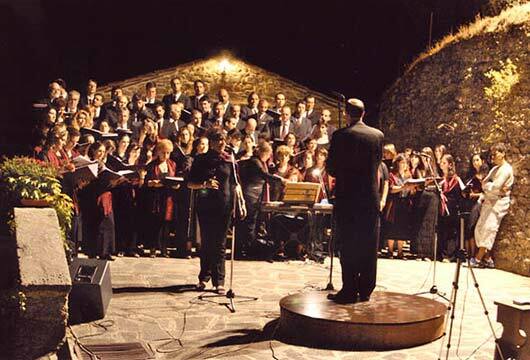 During this festival are various sacred concerts in the city of Cortona with the main purpose is to announce to the city and to all those visiting the gospel of hope, fostering dialogue between the values of faith and culture traits tending to the enhancement of the extraordinary resources available. For the 6th edition of our international photography festival, Cortona On The Move will show off the work of some of the world’s top photographers in the beautiful and welcoming surroundings of the little Tuscan hilltown of Cortona. Dozens of exhibitions and events await you with workshops and portfolio readings by masters of the profession, plus the prestigious HAPPINESS ON THE MOVE award and much, much more. Subscribe to our newsletter to keep abreast of important dates and deadlines both before and during the course of the festival. 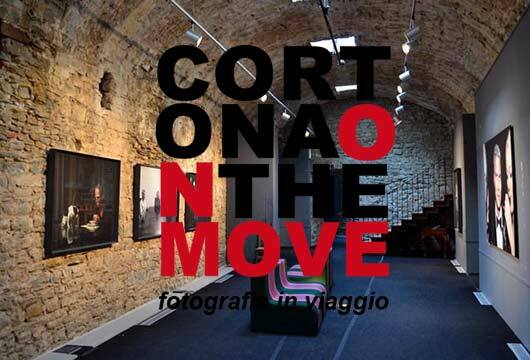 Cortona On The Move 2016: the international showcase for photography on the move – a journey of self-discovery, growth and evolution. after the great success of past editions, back Street Chef, the culinary national event that, Friday, July 27, will see the streets and squares of Cortona protagonists of a food and wine trip aimed at enhancing the excellence of the territory and the tradition of cooking Italian. More than 20 chefs arrive in Cortona, including 5 starred and big names in Italian restaurants, to celebrate the Year of Italian Food, hosted by the restaurateurs of the Municipality of Cortona. Launched in 2012, the Festival – promoted by the City of Cortona, Gruppo Feltrinelli and the Tuscany Region in collaboration with Orchestra della Toscana, Accademia degli Arditi and Officine della Cultura – takes place in the heart of Italy and of summer: from late July to the beginning of August, in the streets, theatres and numerous venues offered by Cortona, a fascinating city with a millenary history, whose origins date back to Etruscan civilization and whose fame shined through the Middle Ages and Renaissance. The Festival (which debuted for the first time in 2004) has established itself as a moment of encounter and dialogue between different peoples, with different cultures, in some cases, distant from each other. Music and dance these companies and the institutions that support them and entrust express a world that waiver of the conflict and chooses the mutual understanding and dialogue. 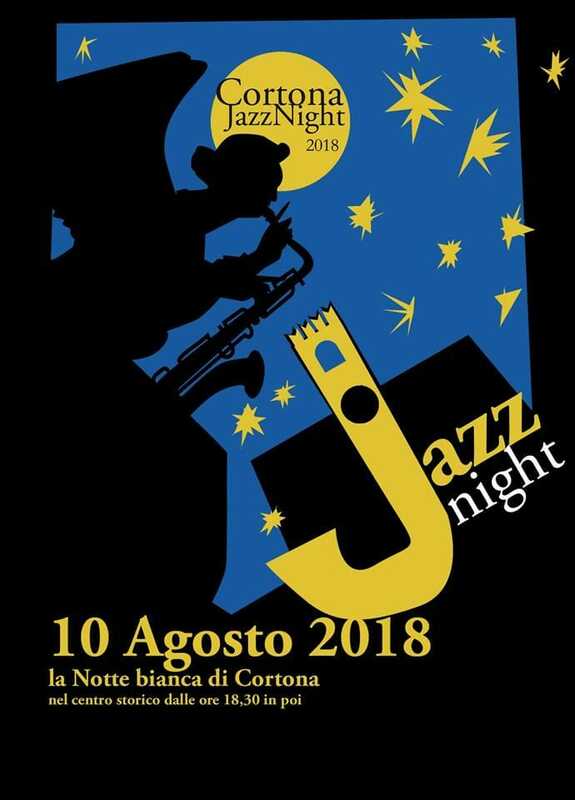 Cortona Jazz Night organizes “La Notte Bianca di Cortona” from 6.30 pm until late at night in Cortona the white night will take place with music, gastronomy and entertainment and many surprises. La Sagra della Bistecca (Steak Festival) is one of the most important gastronomic in the area, and is held every year at the gardens of the Parterre (public gardens of Cortona). In a wire rack giant 14 meters (the largest in Italy) are cooked T-bone steaks, strictly Chianina meat, cooked in blood, according to an old Tuscan tradition. In addition to side dishes, bread and fruit menu includes excellent Chianti wines Cortona or the Doc, great to accompany our meat. At the “Sagra della Bistecca” will find not only steaks but also gastronomic stands with typical Tuscan products and Cortonesi. The festival of “porcini mushroom” is held in Cortona every year in August at the Parterre Gardens, where the fresh mushrooms from Trentino are protagonists of every dish, from appetizers to side dishes. All accompanied by the excellent local wine. The festival start from 6.30pm to 11.00pm. Book tables is not possible. Usually this festival is not too busy so don’t panic, just make sure to be at least one hour in advance before the closing. An event of great importance for the Italian antiquities market, and an extraordinary longevity which makes it one of the most prestigious events in Italy. It is, in fact, since that day in 1963 that Cortona continuously between the end of August and beginning of September, lives immersed in antiques, serving as a point of reference for many lovers of art collecting. 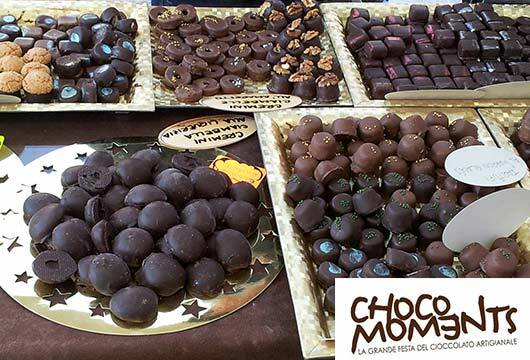 The long-awaited event that takes you by the throat, three places symbol of the city “Piazza Garibaldi”, “Piazza della Repubblica” and “Piazza Signorelli” will turn into squares of handmade chocolate to celebrate the art of the finest craftsmen of chocolate d ‘Italy. 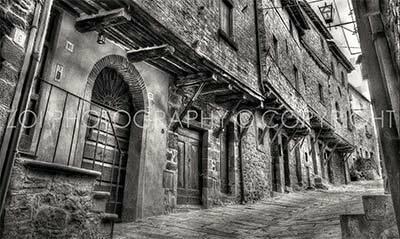 Cortona Mia Tourism Portal © 2018. All rights reserved.